He is one of the pride of Liverpool and until the world ceases to exist, his life as a man who dedicated his entire career to his home town club will always be celebrated. Jamie Carragher, as he was mostly known, played his entire professional career as a professional footballer for Liverpool Football Club in England. His career at the club spanned 17 years, a unique fact in a generation of players who moved from team to team in search of more money or trophies. He is the proud achiever with several accolades including the UEFA Champions League, the Community Shield and FA Cup. When it comes to the life of Jamie Carragher, there is a lot of interesting information to learn about the man and we talk about a few of them below. The children of Merseyside (an area in England) grow up learning of the enmity between Liverpool and Everton, the two prominent football teams in the area. 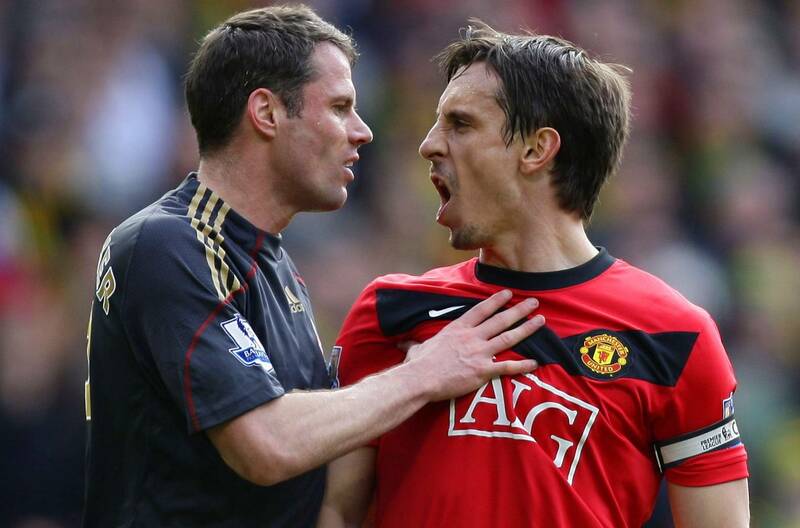 Jamie Carragher was born James Lee Duncan Carragher in Bootle, Merseyside to Philly and Paula Carragher. He grew up as an Everton fan, continuing the tradition of his father but as a boy who dreamed of a professional career, he took on the opportunity presented to him to become youth team player for Liverpool in 1988. Before Jamie Carragher, who was born on the 28th of January, 1978 was 10 years old, he had been recruited by Liverpool, the red half of the Merseyside. His career beginnings at Liverpool wasn’t without its own setbacks and challenges. His lack of height made him an unimpressive defender. He played for two of Liverpool Youth Teams, Liverpool A and B teams but his body betrayed his abilities. The coach subsequently moved him to midfield, where his height was not so much a factor and he was able to build a more relevant place in the team. This relevance grew and Jamie became a member of the first team’s reserve team. Jamie Carragher was known to be one of the best defenders during his time as an active footballer and he played the role for the first time as a professional in 1996 during a FA Youth Cup tournament that Liverpool won. With his body eventually matching up with the talent of his feet, Jamie Carragher continued to appear for the reserve team as a defender. He made his first-team debut against Middlesbrough, in a league cup game. His first time in the Liverpool jersey as a Red in front of the Anfield home crowd as a first team player was against West Ham United on January 11, 1997. Jamie made the transition to full-time first-team player in the 1997-98 season. He played 23 games for the club in his first season as a first team player and never looked back ever since. He would later go on to play a total of 737 games for the club, earning his place as a legend of the club with continental and domestic honors to show for them. In his international career, he played for the national team’s youth team and went on to star in the national team’s first team, earning 38 caps for his country. Through an international career that ran from 1999 to 2010, he played in Euro Qualifies, UEFA Euro 2004, and the 2010 FIFA World Cup. Jamie Carragher, after 17 years as a Liverpool player, retired in the 2012/2013 season. He currently works as a football pundit for Sky Sports. He is also a columnist for The Telegraph. One of the dark marks in an almost perfect career for Jamie Carragher was him never winning the Premier League with Liverpool. He did, however, win several other trophies including the UEFA Champions League in 2005, UEFA Cup in 2001, UEFA Super Cup in 2001 and 2005, the FA Cup in 2001 and 2006. Individually, his trophy shelf boasts of him being named in the PFA Team of the Year in 2006 and being named Liverpool Player of the Year in 1999, 2005 and 2007. Non-football honors include the Honorary Fellowship from Liverpool John Moores University and Freedom of the Metropolitan Borough of Sefton. Jamie Carragher may not have been one of the highest earning footballers during his time as an active footballer, but the regularity and a career that lasted 17 years have made him build a significant net worth of $21 million. He also has a lucrative contract with Sky Sports as a football pundit. Jamie Carragher professional career as a one-club man carries onto his marital life. He has been married to one woman, Nicola Heart since July 2, 2005. The marriage has been blessed with two children – a son and a daughter whom the long-lasting couple chose to name James Carragher and Mia Carragher.